in December 2008. The anti-war direct action was timed for the “Feast of the Holy Innocents” on the Catholic liturgical calender. The feast day follows Christmas and commemorates the massacre of children in a search and destroy mission by King Herod who saw the birth of Christ as a threat to his power. Northwood Hedquarters is the command centre for British forces deployed overseas. 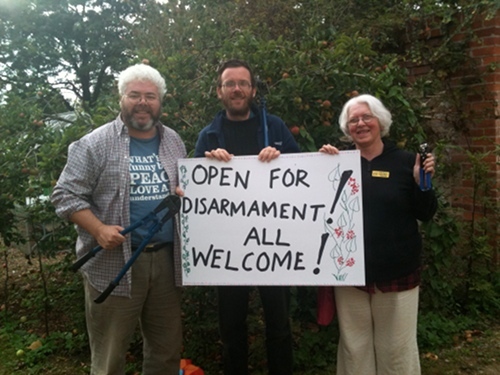 The base has been the location of a number of nonviolent direct actions by the pacifist Catholic Worker community over the past decade of war on Iraq and Afghanistan. Letters should be sent to Fr. Newell via the London Catholic Worker, who will forward them once his prison location in confirmed.